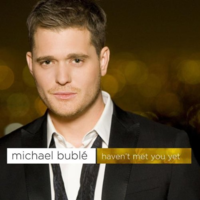 Michael Steven Bublé (pronounced /ˈbuːbleɪ/; born 9 September 1975) is a Canadian singer. He has won several awards, including two Grammy Awards and multiple Juno Awards. His first album reached the top ten in Canada and the UK. He found worldwide commercial success with his 2005 album It's Time, and his 2007 album Call Me Irresponsible was an even bigger success, reaching number one on the Canadian Albums Chart, the U.S. Billboard 200 chart, the Australian ARIA Albums Chart and the European charts. Bublé has sold more than 25 million albums worldwide. In 2010, with concerts achieve a levy of $65 million worldwide.